Democratic gubernatorial candidate Jerry Brown hasn’t changed his mind about the peripheral canal, which voters defeated when he was governor in 1982. 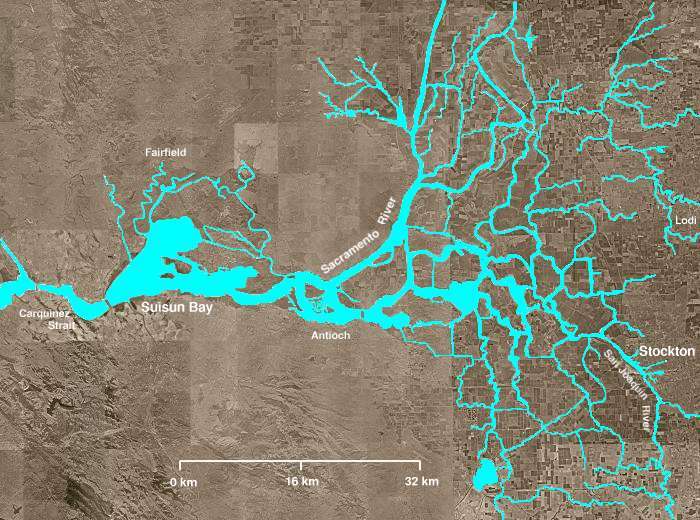 A water plan he released Wednesday calls for building a canal or tunnel around the Sacramento-San Joaquin Delta as a way to more efficiently funnel water to Southern California and Central Valley farmers. If elected governor, Brown says he would take action to restore the delta’s ecosystem while meeting California’s water needs. SACRAMENTO – Important players in the development of a plan that could lead to construction of a peripheral canal or tunnel are meeting behind closed doors, to the consternation of Delta-area lawmakers who signed a letter of protest late last week. Meanwhile, a document to help spur discussion in those meetings contains details that some Delta advocates find alarming.